Why Is Public Speaking So Scary? Can it Get Better? There are few things people dislike more than public speaking. Getting up in front of a group and talking is often rated as more terrifying than death. Even informally introducing yourself to a group can produce nervousness, fear, tension, and anxiety. I’d start planning immediately. What will I say? No that’s no good, what else? About five people before my turn, I wouldn’t be hearing a damn word they were saying. My heart starting pounding so hard in my chest that I could feel it rattling my ribs. Whew, success right? Afraid not. As I sat back down my mind would keep going – charged with stress, cortisol and adrenaline. Hmm, I sounded nervous, people could see I was nervous. People think I’m weird and pathetic. That one guy looked totally bored and annoyed. I bet he doesn’t like me. What’s his problem? What’s the deal? Why are we so scared of public speaking? The fear of disapproval is the primary fear behind all shyness, social anxiety, and social discomfort. 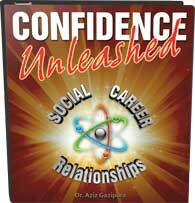 One on one, we can have greater control or influence over whether someone approves of us or likes us. We can read their facial expressions, body language and voice tone. We can change what we’re saying, agree, nod, avoid touchy subjects, and be extra “nice” and do whatever else it takes to make sure they like us. But when we’re speaking to a group, we can’t possibly say something that makes sure everyone approves of us. In fact it’s virtually impossible to make that happen, no matter who you are. Some people may like our talk, while other people don’t even want to be there. Some will be restless and looking around the room. Some will downright dislike you – they don’t like your message or your appearance or they’re feeling jealous or insecure. Regardless of the reasons, the end result is the same. When we speak we have 10, 20, or 100 sets of eyes all on us. That’s dozens of times the potential disapproval we would ever face when interacting with people one on one. As much as we like to think we don’t care how others view us, most of us do. And so public speaking is terrifying, and we often try to avoid it. Other ways we deal with speaking is by over-preparing. Practicing endlessly to make sure we deliver the talk absolutely perfectly. Because if it’s “perfect,” no one could possibly disapprove, right? Preparing, practicing, and making your presentation top quality are all good strategies to improve your public speaking. They may even reduce your fear some. But the only way to truly overcome your fear of public speaking, the only way to master speaking, and enjoy yourself while you’re doing it, is to learn to let go of needing other people’s approval. This is an essential skill in developing social confidence and it’s the first, and most important, part of becoming a dynamic, engaging speaker. 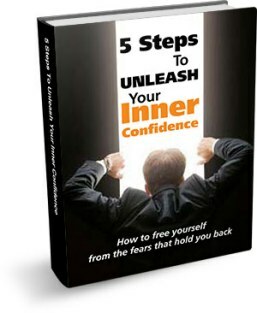 If you’re interested in gaining a complete understanding of how to be less dependent on other’s approval, Confidence Coaching can really help in this area. 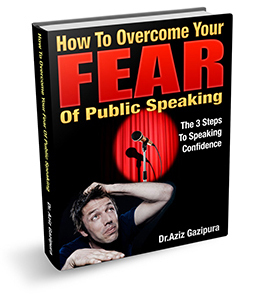 To get help immediately, get your FREE copy of my eBook, How To Overcome Your Fear Of Public Speaking. Stay tuned for the next post where I’ll discuss this first step of Confident Public Speaking – Letting Go of Approval. For more, go get your free copy of my book, How To Overcome Your Fear Of Public Speaking. “But the only way to truly overcome your fear of public speaking, the only way to master speaking , and enjoy yourself while you’re doing it, is to learn to let go of needing other people’s approval.” – Absolutely agree. That’s why we try and teach public speaking to kids from a young age, before their “social fears” are set. great blog. this really helps! cool. nice. love it. post more. duh. Excellent analysis Dr. Aziz on public speaking!!! I read your book and I believe it will definitely help me speaking better with various size groups. "How To Overcome Your Fear Of Public Speaking!" Enter your e-mail below to get your FREE copy now!